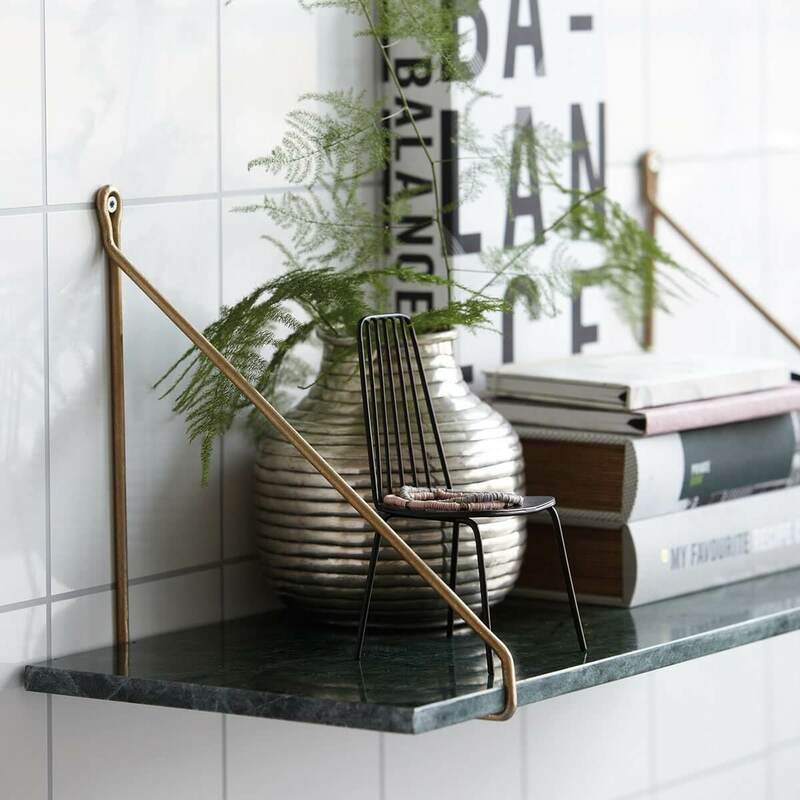 A striking green marble shelf with brass brackets, designed in Denmark. Marble has made a marvellous comeback in interiors of late but to keep the trend fresh use it in small doses. Use marble with brass accents to add warmth and glamour to your home. 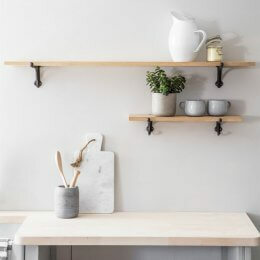 Try hanging these shelves in rows, or one above another, add some favourite objects and maybe some greenery for a classic interior. 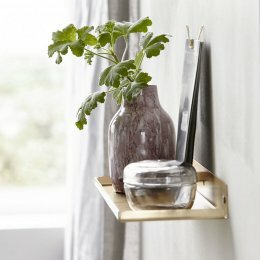 Complete with two brass brackets for hanging. Please note this product weighs approx. 8kg. 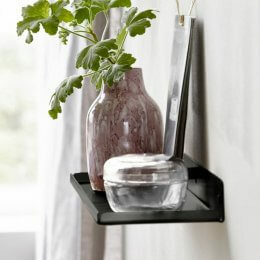 Fixings for hanging are not included, as the type required will vary depending on the wall.